This book constructs the authenticity-standardization framework. 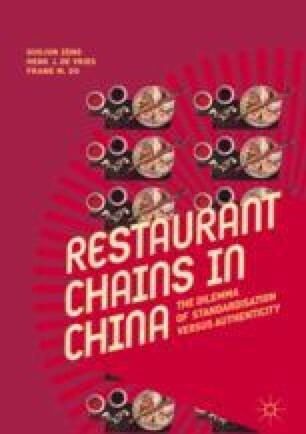 The cross-case analysis provided in this last chapter confirms that this framework can be used both by researchers and entrepreneurs to study or manage restaurant chains in a systematic way. Translocality enhances consumer needs for authenticity consumption, and authenticity turns out to be a dynamic concept under different consumption contexts. Other conclusions, contributions, and limitations of this book as well are presented in this chapter.